WASHINGTON, DC: A confluence of recent events have triggered a crisis that will leave thousands of Washington, D.C. women with little or no access to obstetrical care. Policymakers have yet to address the problem. A coalition of women’s health care providers is coming together to attempt to identify ways to divert these women to other providers and identify possible resources before the District faces a wave of emergency births to women with limited to no access to proper prenatal care. Providence Hospital, a critical provider of health services to low-income women, and the only Labor and Delivery hospital in Northeast Washington, DC, recently announced that it is closing all of its obstetrical services at the end of October, including all prenatal care, antenatal surveillance, and deliveries. With a gag order in effect, providers (many of whom are Certified Nurse-Midwives) cannot discuss the adverse effects of this closure with either affected patients or the media. On August 7th, the DC Health Department ordered United Medical Center’s Labor and Delivery unit to shut down for 90 days with no warning to the public or the impacted women. 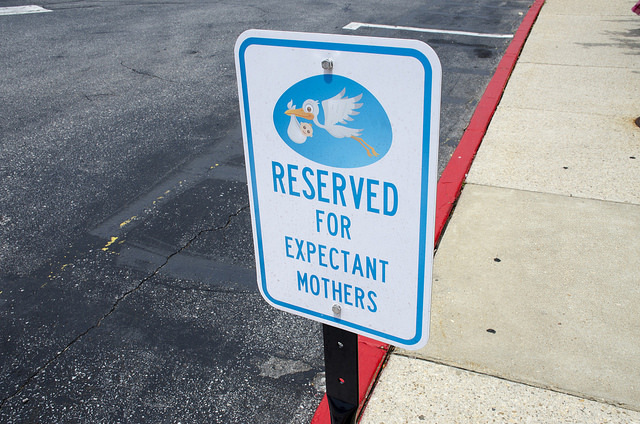 This leaves no Labor and Delivery facility with open doors in Southeast Washington, DC. Medstar Washington Hospital Center is making drastic cuts to maternity services. Medstar no longer accepts two of three Medicaid Managed Care Organizations (MCOs). The combination of decisions is creating nothing short of a crisis level shortage that will have profound effects on maternal and neonatal mortality. Providence Hospital is the only operating labor and delivery hospital in Northeast Washington, DC. Many of its patients have a low health literacy, and a significant number do not speak English or are uninsured. The closure will force patients to seek prenatal care further from their communities — if they are able to overcome transportation and other compliance barriers, and if they are able to find care at all given their lack of insurance. Many patients will be left entirely without prenatal care and currently, many have no idea that is coming or even face barriers to simple tasks like obtaining their prenatal records. Providence Hospital does not have information about the pending changes on the website and has quietly removed all references to Labor and Delivery services and prenatal care. Patients who require prenatal monitoring (which is usually scheduled with a hospital as an outpatient procedure). Patients who need other scheduled high-risk procedures such as Cerclage placement (can prevent preterm labor and delivery in high risk women). Patients who need insulin to control gestational diabetes, or progesterone injections to prevent preterm labor (generally arranged through hospitals who have programs for uninsured patients). Forcing pregnant women to wait until they are in an emergent state to seek care is dangerous, unethical, and unacceptable. These closures and cuts are creating a maternity care desert in Washington, DC. Providence Hospital alone delivers 2000-2500 deliveries per year. It is imperative that the DC Department of Health have safe and well-resourced plans for these patients. Midwives are ideal providers of health promotion services for women because our philosophy of care centers on the promotion of women’s health through education and empowerment. We lower costs and improve outcomes to women and their families throughout the healthcare system. It is critical that midwives sit at the table and are part of the solution facing the women of DC. There is a meeting for Women’s Health and Maternity Care providers and service directors taking place at Medstar Washington Hospital Center on Thursday, September 21, to form a plan for these women in an organized manner. There is a Health Public Oversight Hearing on Friday, September 22, at 11 am, room 500 of the Wilson Building on the United Medical Center issue in particular. The hearing is accepting testimony from members of the public and professionals. We encourage any community member impacted by these closures to share your story. Your voice is important. Dorothy Lee, President of the Washington, DC ACNM affiliate, is accepting press contact on behalf of the affiliate and in response to this press release.